Granby Toxteth Development Trust: We are looking for Volunteer Digital Champions! 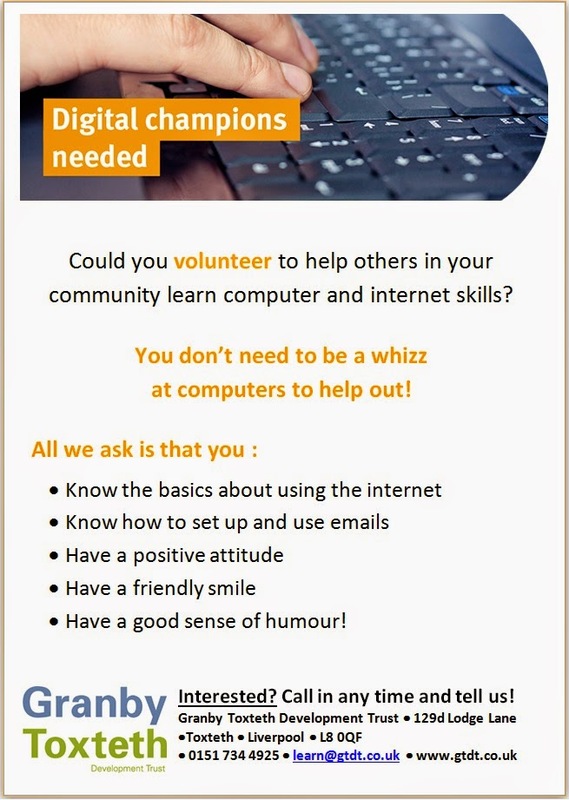 We are looking for Volunteer Digital Champions! We need Volunteer Digital Champions to help get people online. Do you have basic internet skills? Then get in touch! We need you! You will be given full training on the tools that we use. Call into our centre at 129d Lodge Lane, L8 0QF, give us a ring on 0151 734 4925 or drop us an email to learn@gtdt.co.uk.